Two youngsters have been awarded the financial backing needed to further their farming careers thanks to the legacy of former Farmers Guardian journalist Louise Hartley. Scottish new entrant Rory Gregor and Cheshire farmer Jessica Simms have been chosen to receive £2,000 each as part of The Louise Hartley Memorial Fund. The fund was able to support an extra individual thanks to a £2,000 donation from a Warwickshire FG reader, who was touched by Louise and her family’s journey. 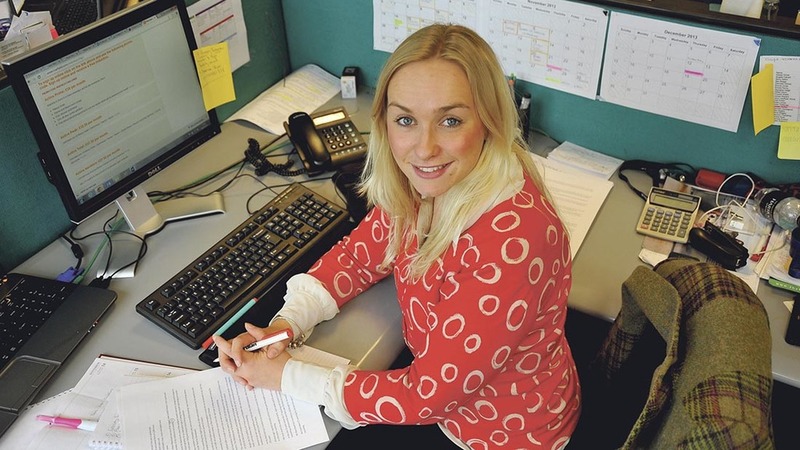 A dairy farmer’s daughter, Louise worked for Farmers Guardian since 2013 and joined the publication after completing an agriculture degree at Newcastle University. From Bashall Eaves, Lancashire, she passed away last July after a short but incredibly brave battle with a rare form of ovarian cancer. Organisations and individuals in the farming community, along with many other groups and individuals who knew her, began raising money to help fund the pioneering treatment she received at The Christie Hospital, Manchester. The donations continued and the Louise Hartley Memorial Fund was launched after she died. Louise’s sister, Bridget Mashiter, recently spoke of how much the fundraising meant to the family. She says: “People from the local community and across the country raised money in a manner of ways with head shaves, cycle rides, promise auctions, bake sales, leg waxing and too many more to mention. “Anthony Jackson and Liz and John Lawson also donated a pedigree Holstein calf which was raffled off at Carlisle auction and raised more than £10,000.” The family has recently donated £10,000 to The Eve Appeal, the only UK national charity raising awareness and funding research into the gynaecological cancers. It is also supporting the Small Cell Ovarian Cancer Project, a collaboration between researchers at Cambridge University and University College, London. Small cell is a rare type of ovarian cancer which predominantly affects young women with an average age of 24 years at diagnosis. It represents less than 1 per cent of all ovarian cancers but the prognosis is often poor and the family wanted to support the research being undertaken in the area. 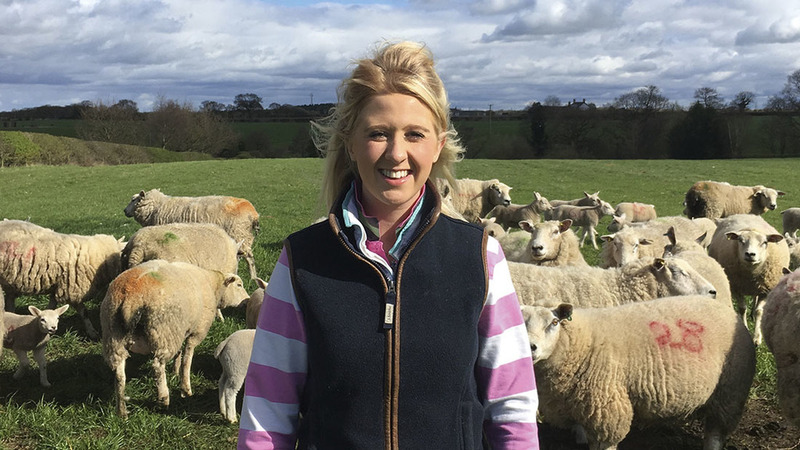 The Hartley family also wanted to help young people who are interested in livestock farming, a sector Louise felt very passionate about, so they could develop their careers and the fund was launched earlier this year. Key contributors to the fund include Farmers Guardian and Philip Halhead, owner of Norbreck Genetics. The five finalists were invited to present to a judging panel, which comprised Louise’s mother, Sarah, and brother, Ben, as well as Mr Halhead and FG head of features Danusia Osiowy. Here we learn more about the 2017 winners and what they hope to achieve with the money. Inspired by her family’s pedigree Limousins, Jessica Simms has developed a strong interest in bovine genetics and their increasing significance in livestock production. She embraced the chance to produce, show and judge cattle and co-owns the Jessie G Limousin herd with her brother Edward. A member of Middlewich Young Farmers, Jessica has taken various roles, including stockjudging captain and chairman. She has also been a member of the Young Limousin Breeders Club since the age of 15 and won at various national stockjudging events. Showing is a big part of her life and her proudest achievement to date is winning supreme Limousin champion at the Royal Welsh Show last year. After leaving Harper Adams she wants to focus on breeding, specifically in the beef sector. “I want to expand my small Limousin herd with the hope to one day work on the family farm with my younger brother. This would give me the opportunity to put some of the practical and technical knowledge I have learned in my degree and travelling into practice.” While she concentrates her efforts on completing her degree, she plans to travel to the USA next year, visiting farms, feedlots, conferences and genetics companies with the intention of implementing the best practice she sees in developing her own herd. Rory Gregor, 25, has a wise head on young shoulders and when you listen to his journey so far, it’s easy to understand why. In March 2015, 31 of his pregnant Beltex sheep were stolen from Cairnton Farm, Kemnay, a loss costing about £80,000. It was a devastating blow for the new entrant who is still working with the police in their ongoing investigations which saw a 29-year-old from Alford charged with multiple thefts last month. The batch of first-cycle lambers was the backbone of the flock, which he had built since he was 10. But Rory did not give up. Instead, he rebuilt the flock, achieving showing successes in the pedigree Beltex sector. Working under the Gregor’s Beltex prefix, he now runs 30 ewes, 40 Beltex cross Texel ewes and 80 Mule ewes. Last year, he was involved in a serious road traffic incident, suffering a double skull fracture and bruising to the brain. 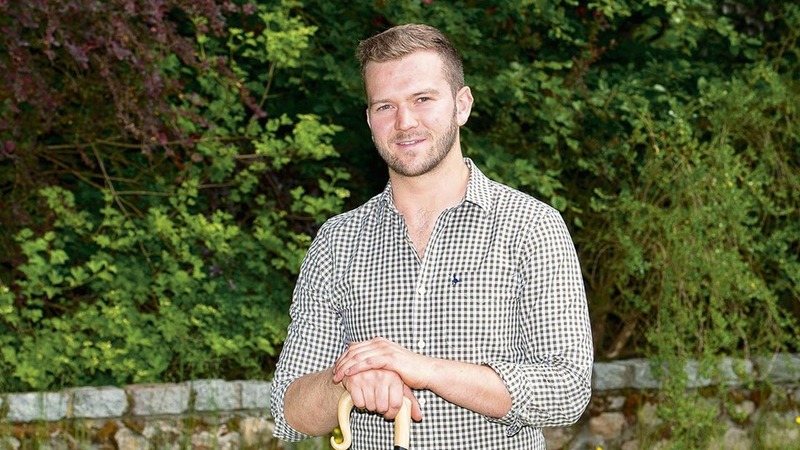 After attending a sheep pregnancy scanning course in November, Rory invested £15,000 to start this sector of his business, running it alongside self-employed farm work including lambing and contract shearing. Having started scanning in December, he finished in March and believes he has had a successful first season. “There is a shortage of scanners in the area. The other two local scanners each scan up to 100,000 sheep so I felt there was a chance for a younger person to do it. I have had good feedback from the first season and will advertise more next year. Hopefully word of mouth from good results will expand my client base.” The funds will be spent on developing a prototype to improve sheep welfare. In the meantime, Rory will continue to increase his flock and work self employed with the eventual aim of securing a farm tenancy of his own.